Peat soils produce fantastic crops, but they do so at the expense of the soil. The peat is gradually disappearing, at an average rate of 2 cm per year, and in some areas all of it has already gone. The farmers have become more and more reliant on adding chemical fertiliser to their land, as the natural fertility of the soil is lost. Holme Fen is a tiny remnant of the original rich Fen habitat. 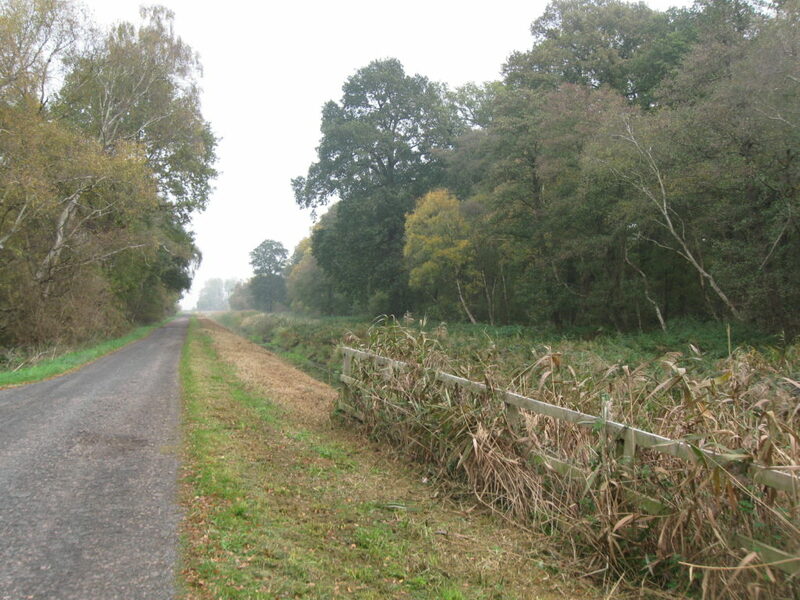 Near it is a similar remnant at Woodwalton Fen. 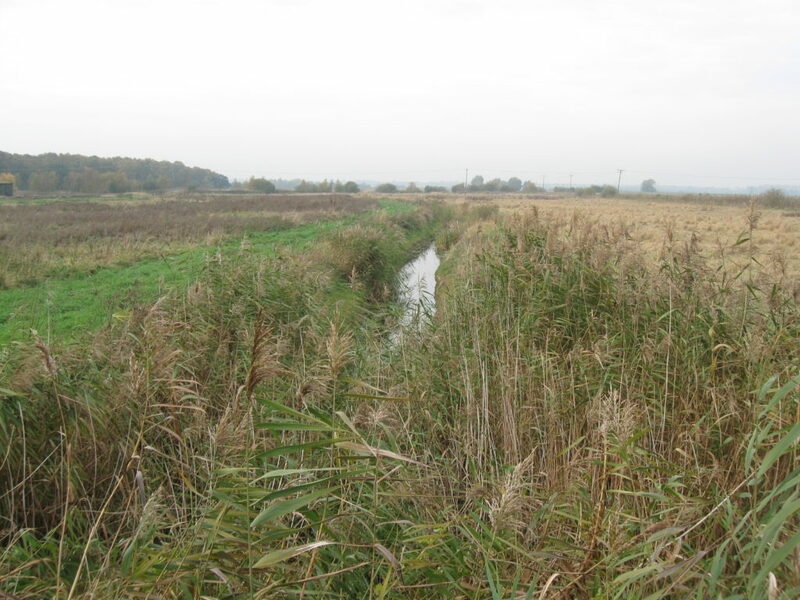 Each area on its own is thought to be too small to sustain the unique wildlife of this type of environment and so there is an ambitious project to connect the two areas and create a big fenland nature reserve known as Great Fen. 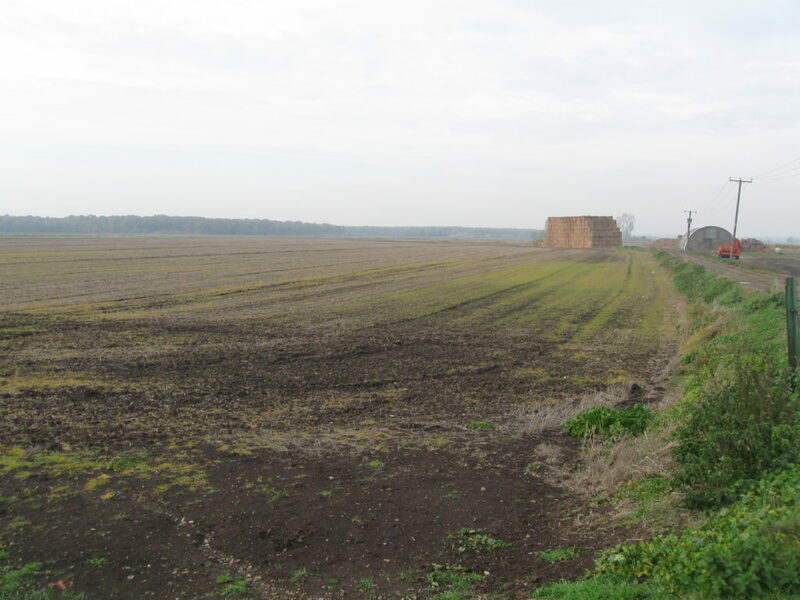 The project involves buying farmland and restoring it to fenland – but you can’t just flood it. 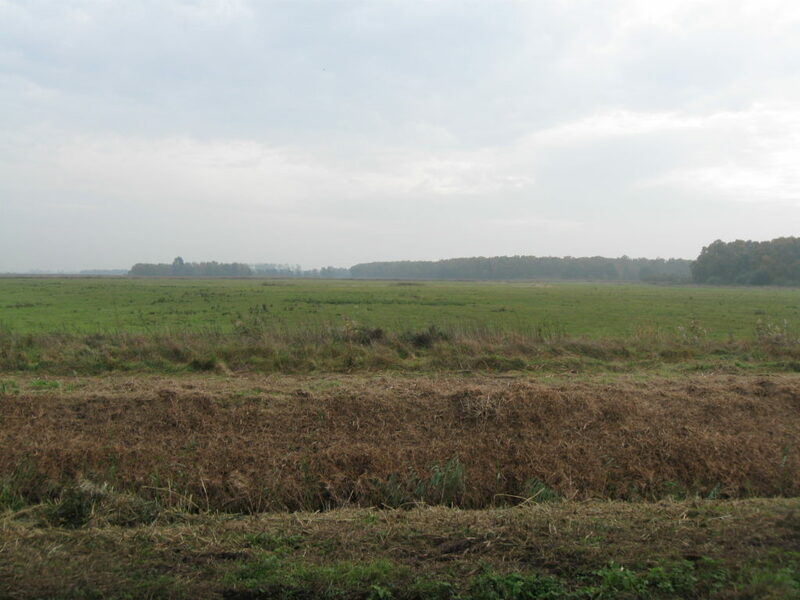 Arable farmland is first changed to pasture. 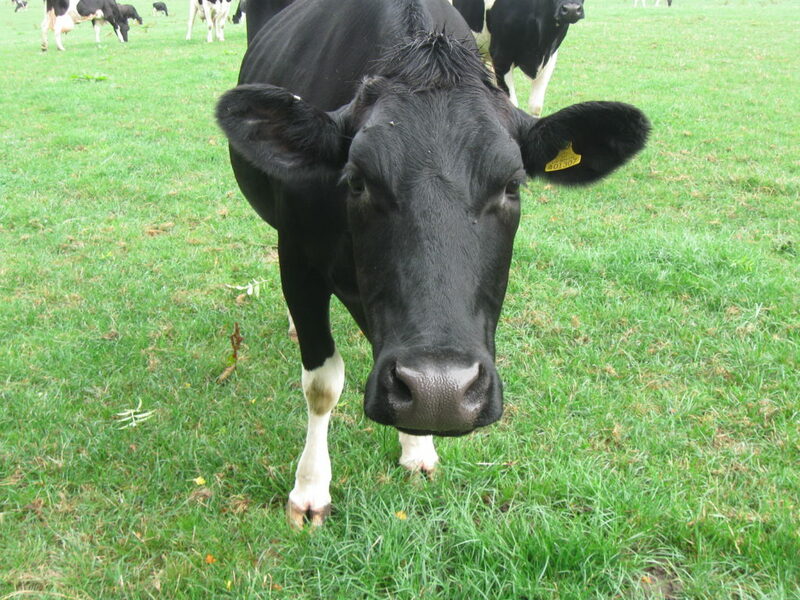 This absorbs chemical fertiliser, allowing the soils to return to a more natural state, and meanwhile the grass can be cut for hay and also directly grazed by animals. These animals are very beneficial to the process – they remove long grass, which gives space for wild plants to establish, and trample the ground unevenly, resulting in hollows which will collect water. But the number of animals and the timing of their grazing activity must be controlled very carefully. Both too much grazing and too little grazing can result in less wildlife. Meanwhile a whole new set of ditches, dams and sluices are being put into place. These are needed to allow water back into Great Fen, to restore the wetland, without affecting the surrounding arable land. So, they are well on their way to 3700 hectares of nature reserve. The mixture of woodland, wet and dry meadows, open water and reed beds will be a haven for wildlife, a green space for people to enjoy and a massive increase in the storage capacity for winter floodwater. And with sea levels rising, the latter is perhaps the most far-reaching benefit of the whole project. Click here to see landscape changes through the seasons and through the years. ← Types of Fossils – Bonus Round!